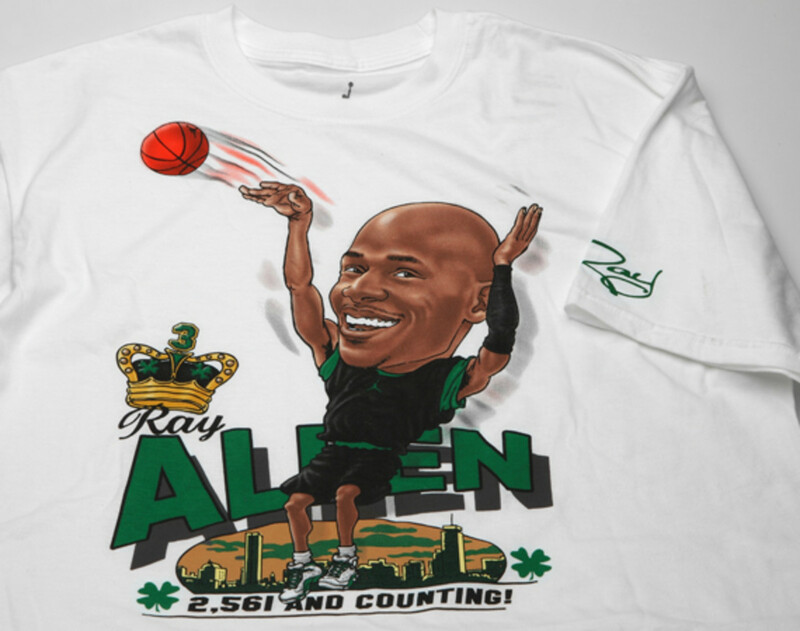 Maybe some of the Irish luck was with him that night. 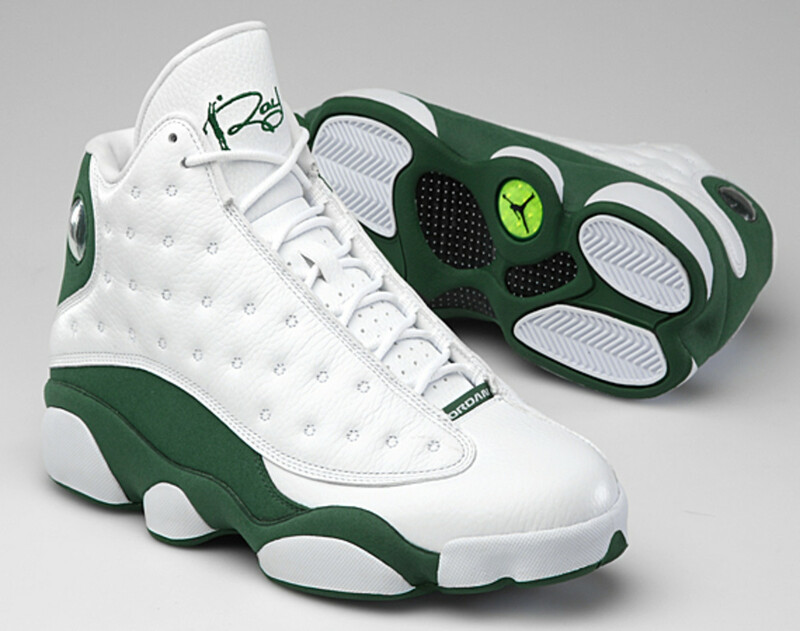 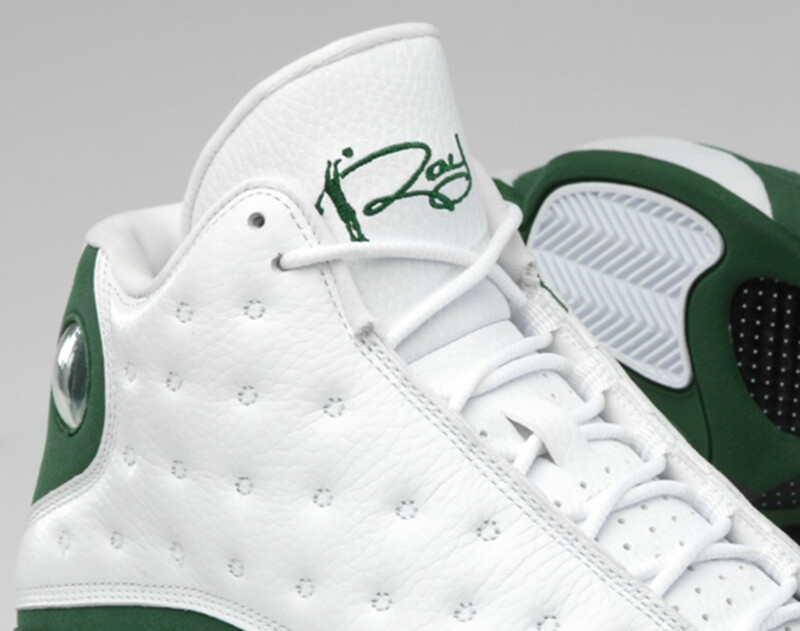 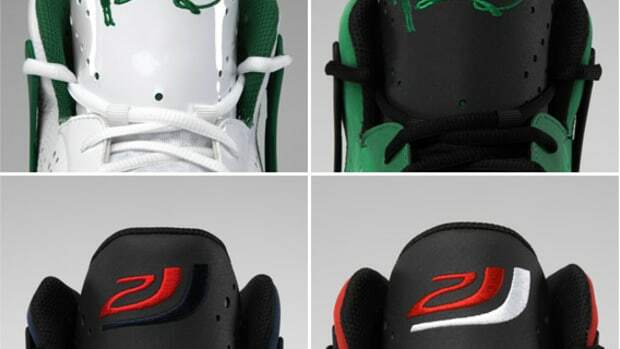 Armed with his very own Player Exclusive, a pair of White/Celtic Green Air Jordan XIII that Jordan Brand created for him, Boston Celtics&apos; Ray Allen broke the NBA all-time 3-pointers record on February 9th when he scored a total of 2,562 points, just above the 2,560 points by Reggie Millers years earlier. 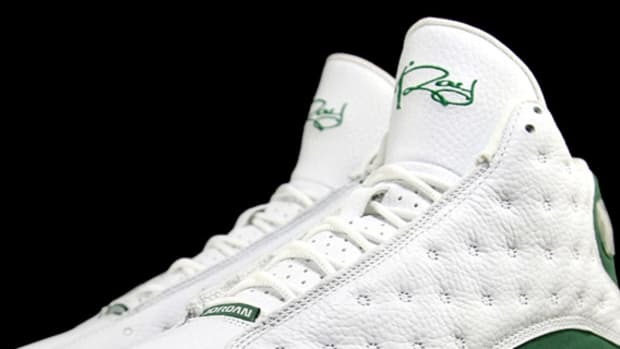 Because the demand for that particularly PE was such, Jordan Brand decided to make the edition available to the public for the first time. 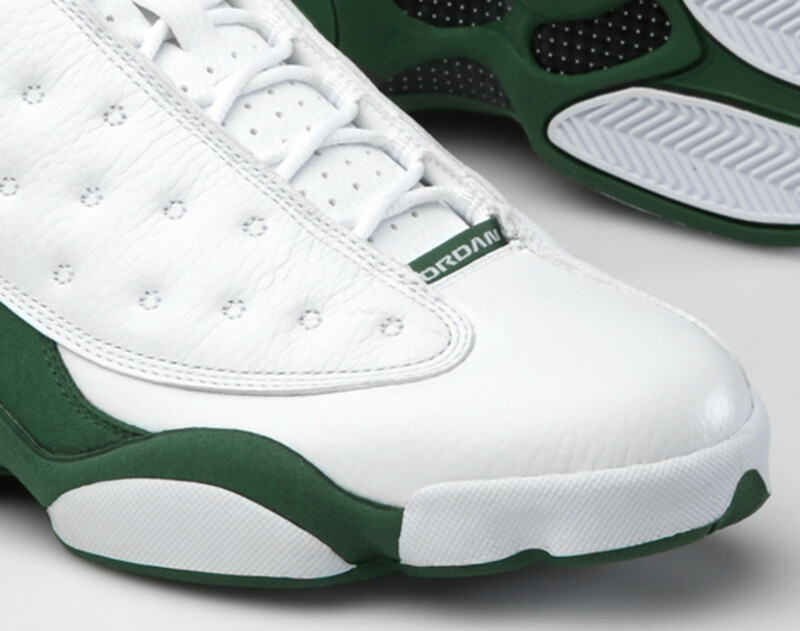 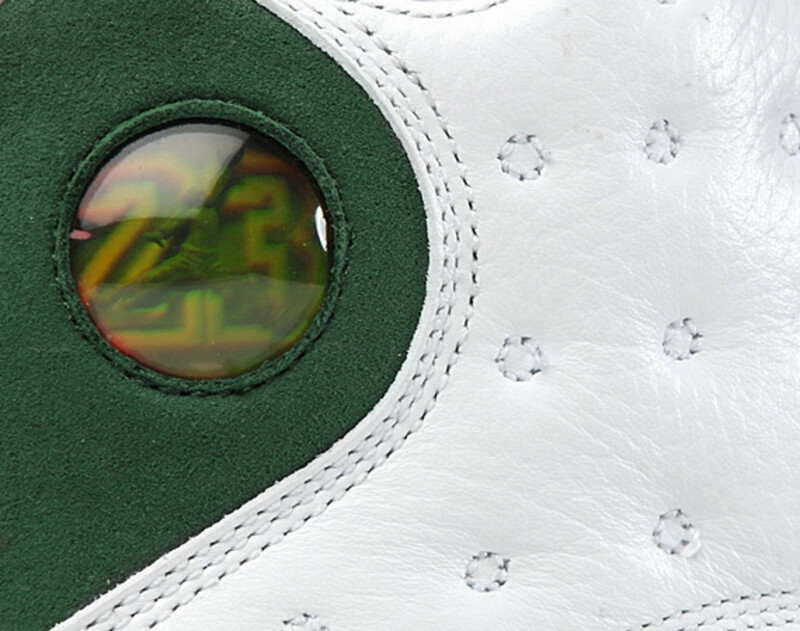 Embroidered with Ray Allen&apos;s signature on its tongue, the mostly white Air Jordan XIII is punctuated with Celtic Green accents along the heel panel, midsole, outsole, and the icon AJ13 Cat&apos;s Eye hologram emblem. 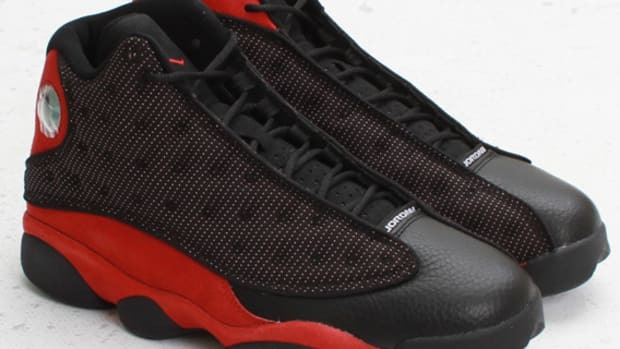 Very limited in numbers, Jordan Brand decided to release it at 2 retail locations thus far, the House of Hoops in Boston and SoleFly boutique in Miami, on Saturday, July 16th. 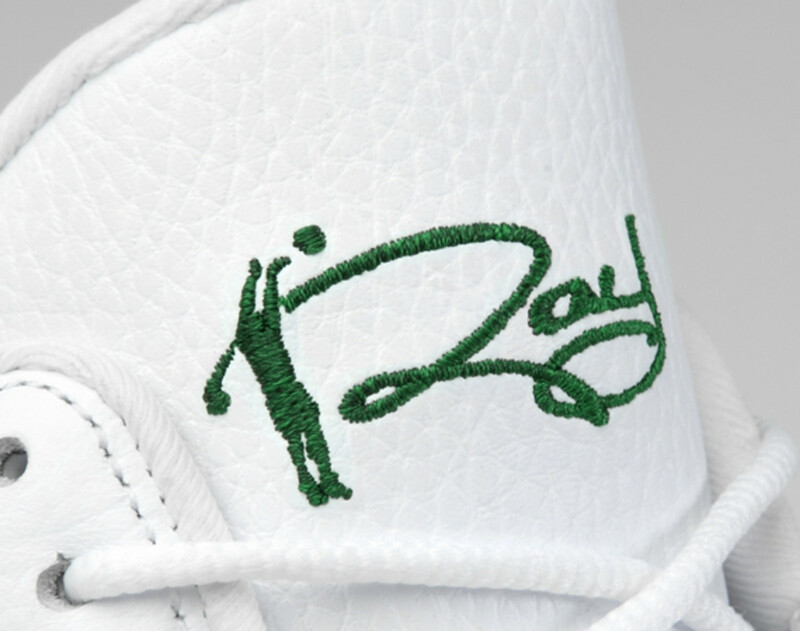 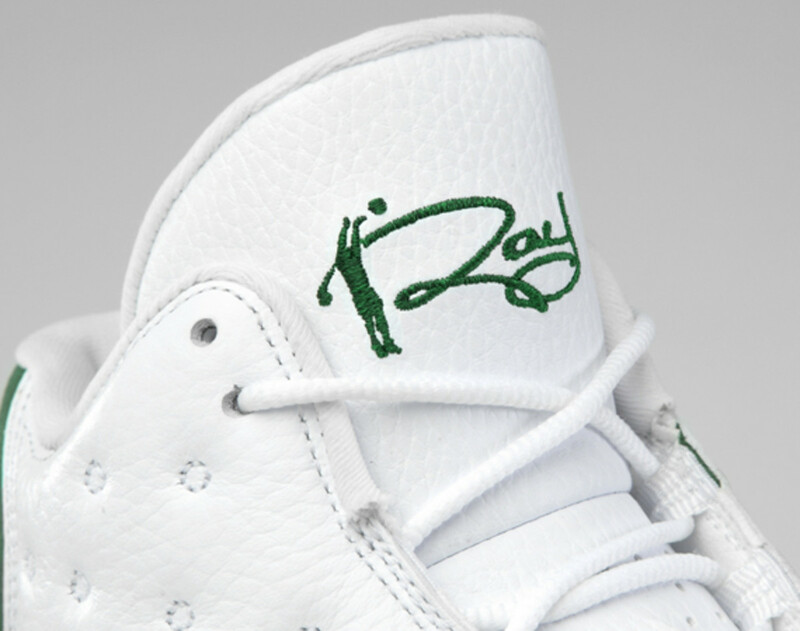 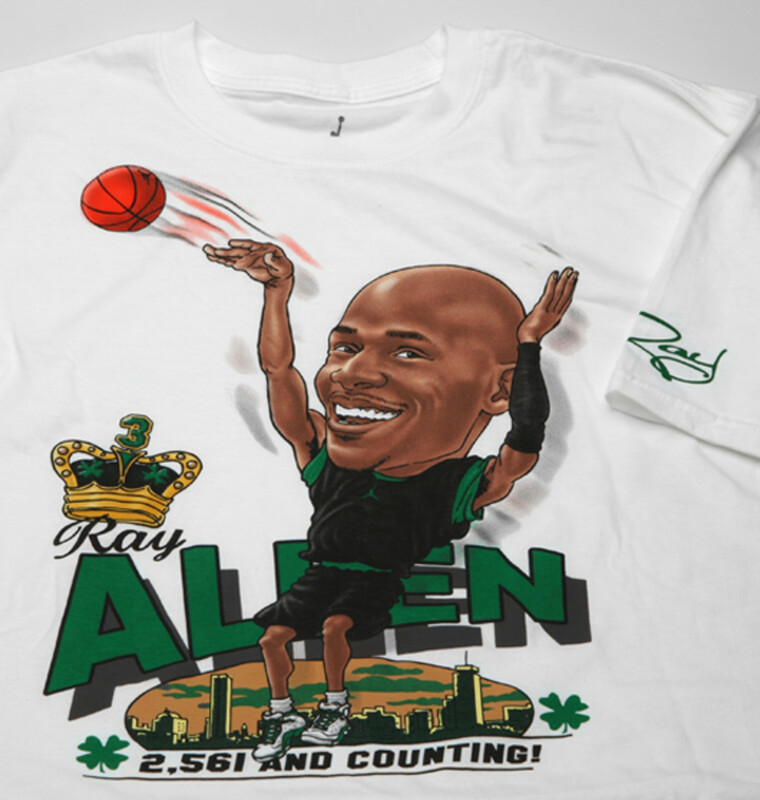 To coincide with its release, both retail locations will also offer a limited edition Ray Allen t-shirt by Jordan Brand, celebrating the player&apos;s achievement. 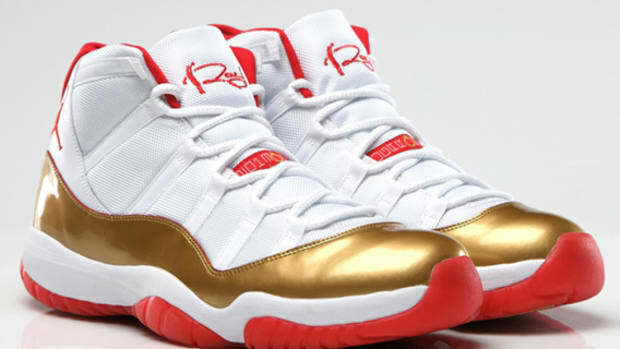 Air Jordan 11 - Ray Allen P.E. 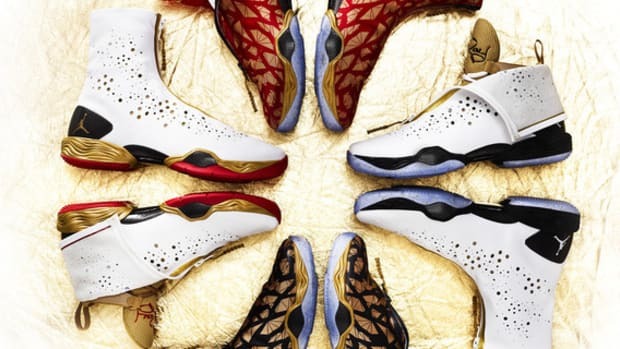 "Championship 2 Rings"
Air Jordan XX8 - "Championship Inspired" Ray Allen P.E. 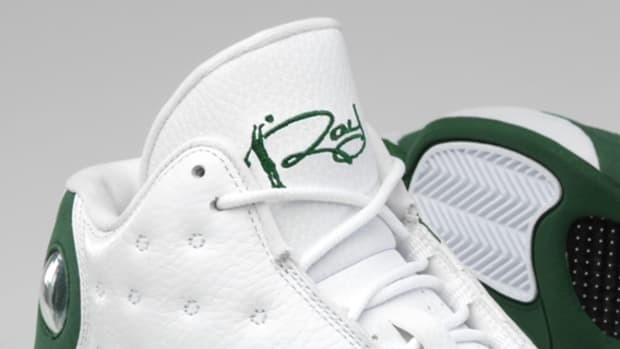 Ray Allen Dressed in "J. Shuttlesworth" Miami Heat Jersey and Air Jordan 13 Retro "He Got Game"